I’ve been busy lately with my project Gone. Now? and getting ready for the exhibition this summer in Reading and for this fortnight’s photo these worlds seem to have converged. 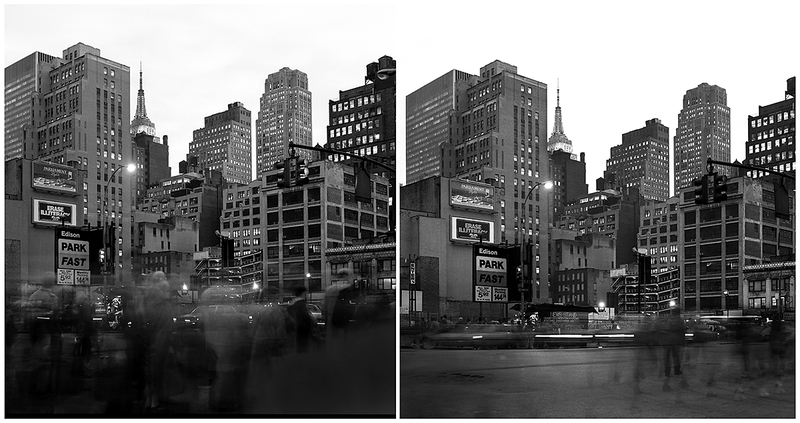 This image from my archive blends my current themes, the 1980s and urban change. 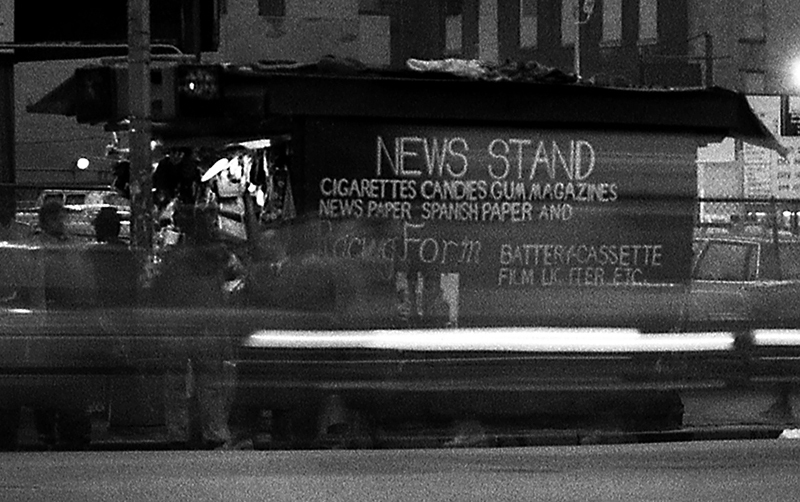 Photographed in 1989 on the corner of 42nd Street and 8th Avenue. looking south,. The Port Authority bus terminal is to the right and an empty lot being used as a car park is on the left as we look from the NW corner of 42nd & 8th to the SE corner. 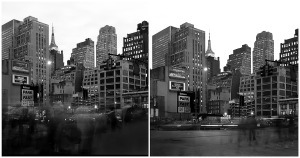 Shot on a wet, dark day, the two images paired here are taken moments apart as the crush of people cross the street and then gradually thins out. Today there is a big glass tower where the car park used to be and the block behind that has the New York Times building. It’s not just the built environment that has changed though, the news stand was advertising their stock of Film and Cassettes! Cropped view of news stand.